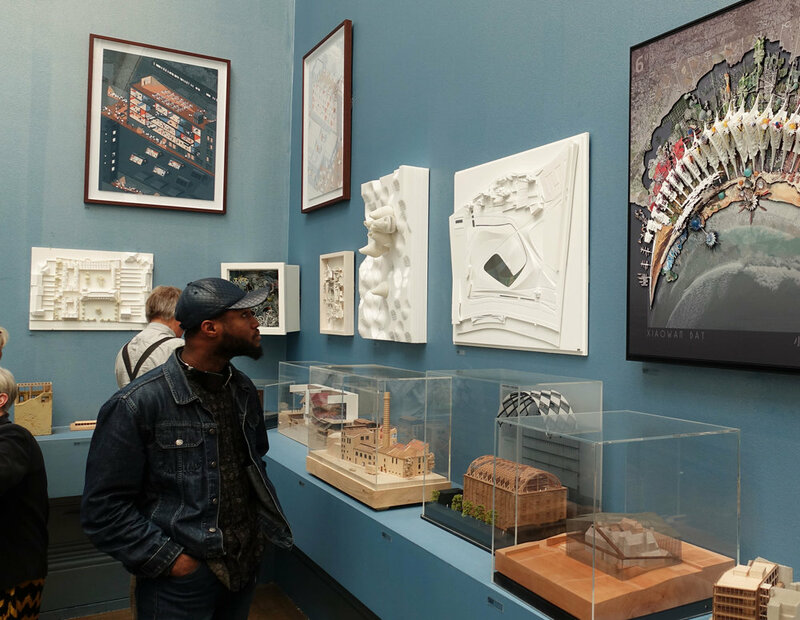 Coinciding with the Royal Academy’s 250th anniversary celebrations, this year’s summer show was brought together by curator Grayson Perry, and includes a selection of paintings, prints, sculptures and architectural models. The show includes a model of our competition entry for the design of Zaryadye Park, Moscow. Demonstrating a sculptural landform modelled using 3D software, our model is made of CNC-cut foam, using data from the digital 3D file. It was developed for the show and produced by AModels, London. Dating back to 1365 and situated close to Moscow’s Red Square, Zaryadye is the oldest trading settlement outside the Kremlin walls. Working in collaboration with Sauerbruch Hutton, ARUP, and Space Syntax in 2013, Gustafson Porter + Bowman led the concept design for the 120,000m2 site as part of an international competition. The topography of the central bowl is orientated towards the river, borrowing the landscape of the river and pulling it into the park with the city as its backdrop. As one enters the park, the city disappears and you are completely immersed in the landscape.